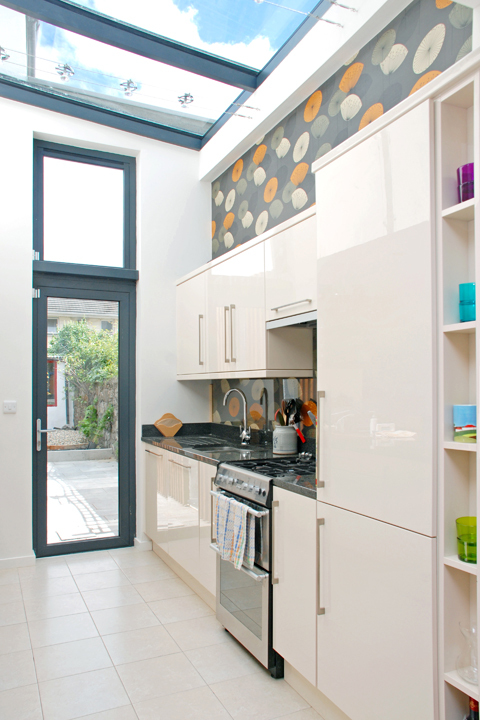 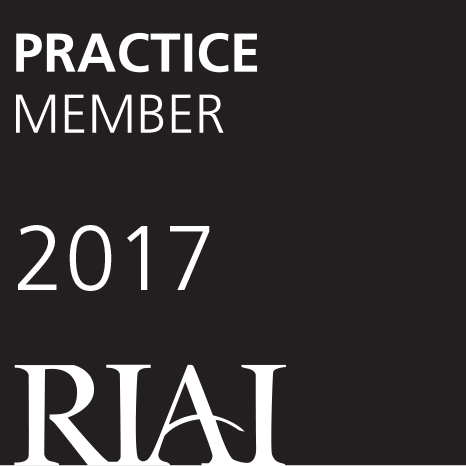 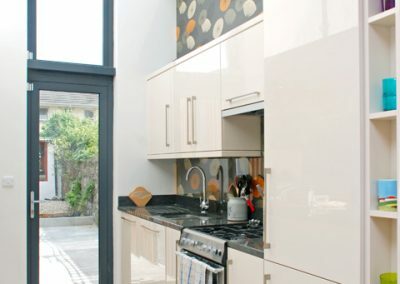 The refurbishment and remodelling of the existing ground floor living space incorporating a new atrium-type extension containing the kitchen, along with a first floor extension and remodelling of the existing return to accommodate an additional bedroom. 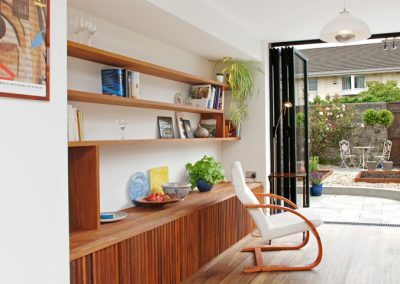 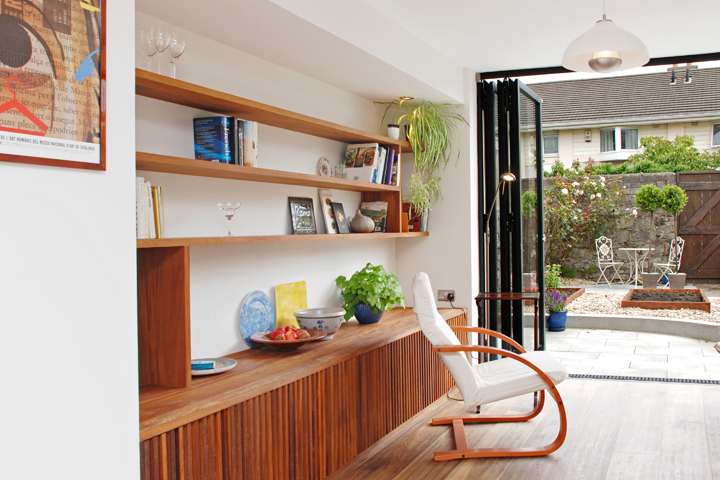 Two new extensions, including an atrium-style kitchen, transformed a dark, cramped interior into a light-filled, streamlined space that brings the outdoors in. 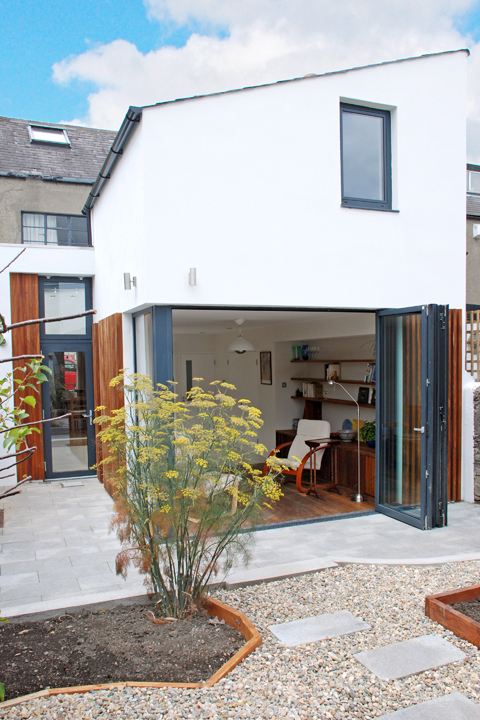 This 22m2 renovation project was featured in Renovate Magazine. 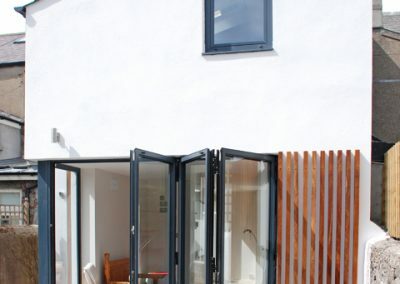 The new extensions and remodelling were treated in a contemporary way, allowing both the original building and the new extension to stand on their own as of the time. 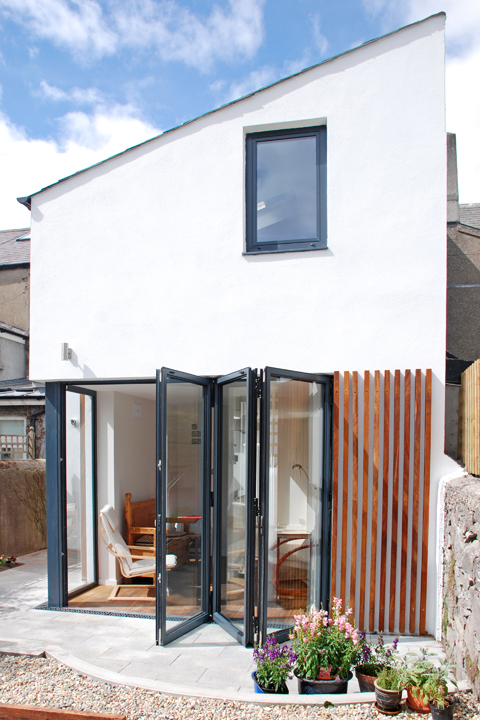 Bangor Blue slate was used on the roof, with a white render on the walls. 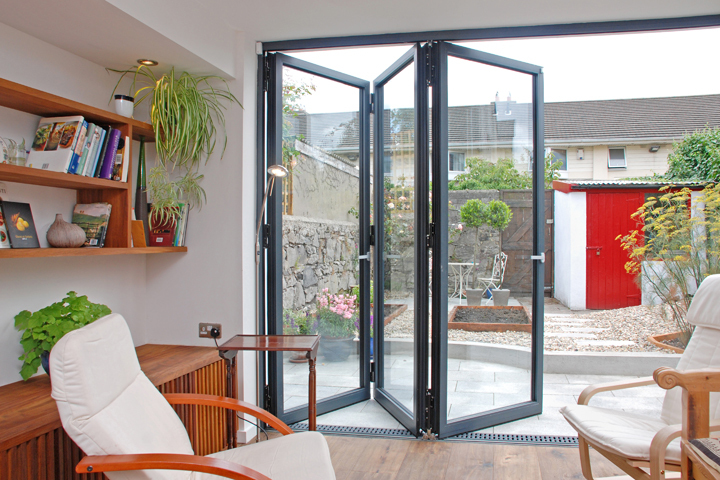 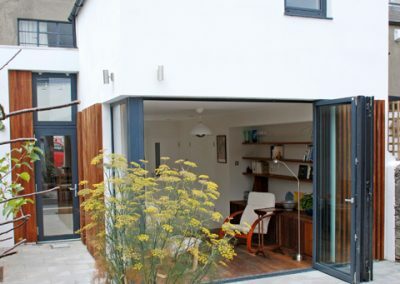 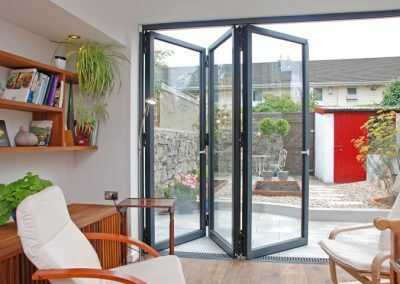 Grey aluminium windows were incorporated in the new build with a folding door system on the rear wall overlooking the garden. 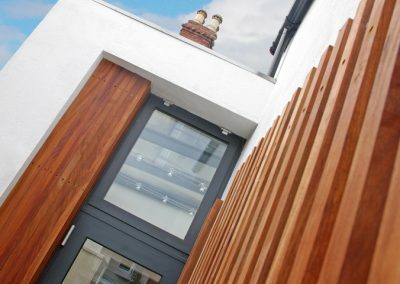 Hardwood teak timber cladding was used externally to soften the elevation and add contrast.